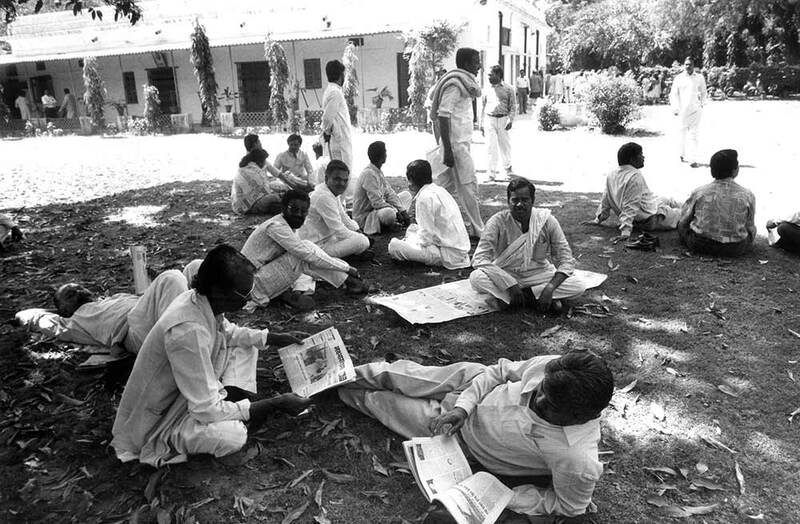 As the 2019 Lok Sabha election approaches, some rare photographs from the 1996 election campaign, which saw a Bharatiya Janata Party prime minister for the first time in India's history, albeit only for 13 days. 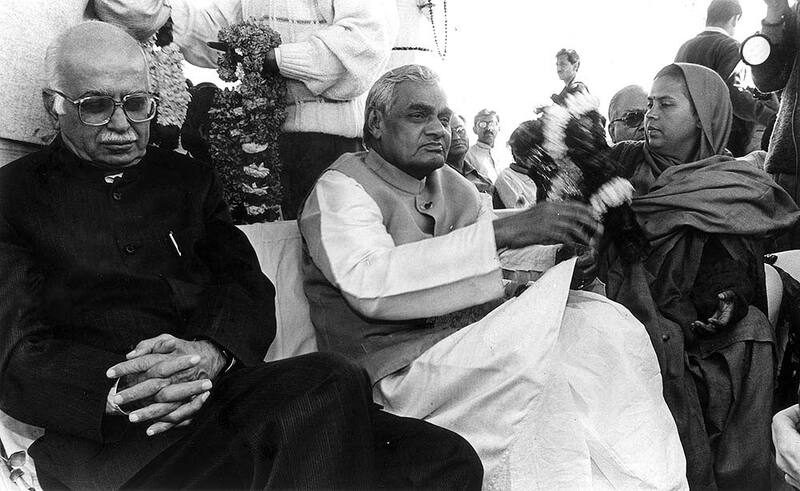 From left, then Bharatiya Janta Party president Lal Kishenchand Advani, senior BJP leader Atal Bihari Vajpayee and its then youth wing president Uma Bharti at a rally in New Delhi, February 29, 1996. 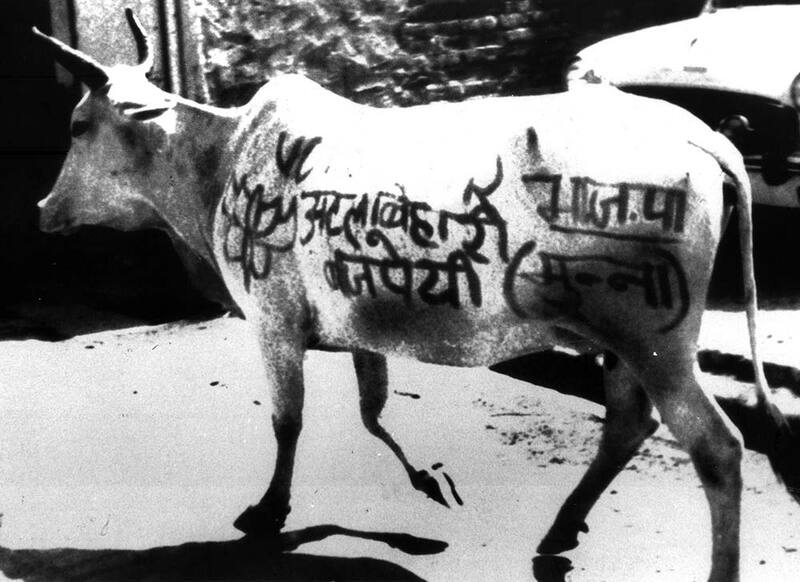 A cow canvasses support for Atal Bihari Vajpayee, the BJP candidate from Lucknow. 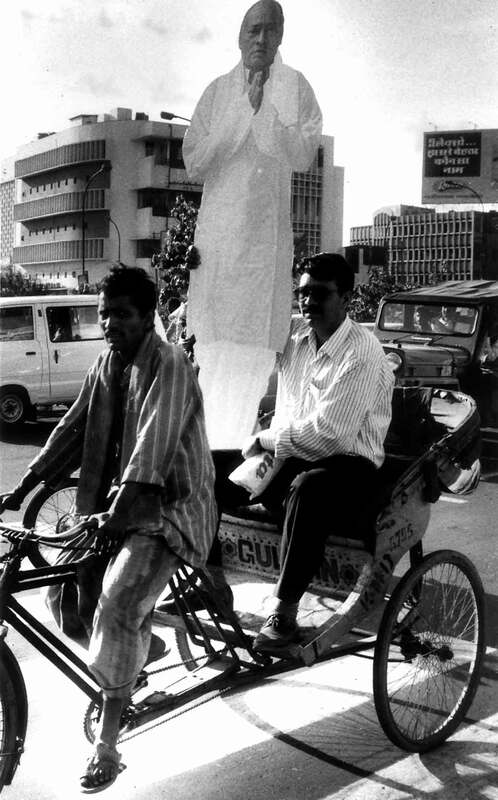 A Congress supporter in New Delhi carries a wooden cut-out of then prime minister P V Narasimha Rao. 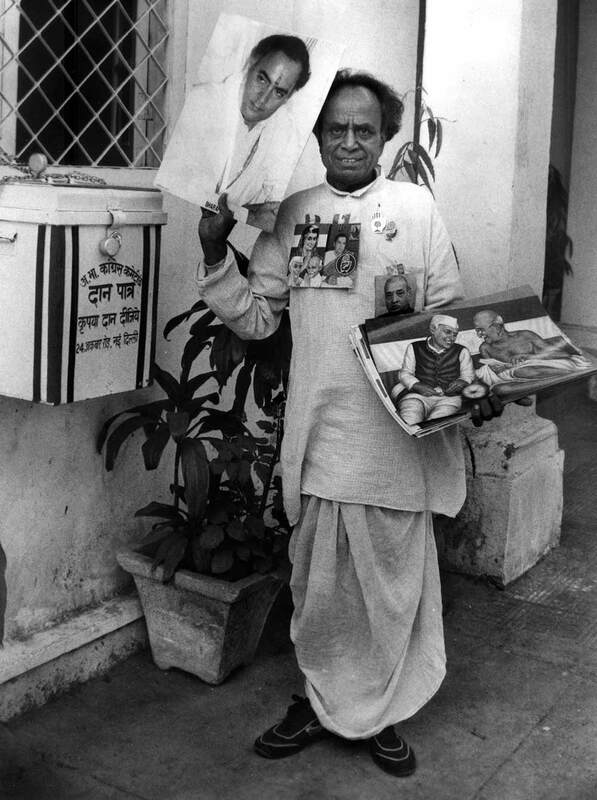 Another Congress worker sells posters of Rajiv Gandhi, Jawaharlal Nehru and Mahatma Gandhi at the Congress headquarters in New Delhi. 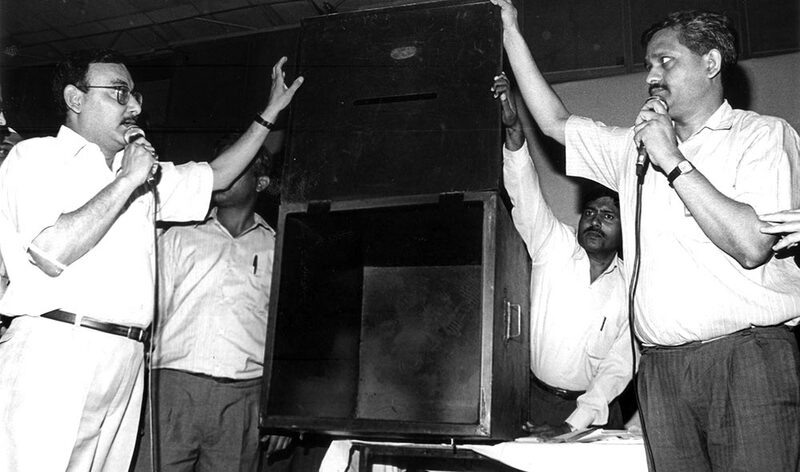 Election officials show the giant ballot boxes and ballot papers to the media.  The ballot paper is meant for the Outer Delhi Lok Sabha constituency where 87 candidates were in the fray. 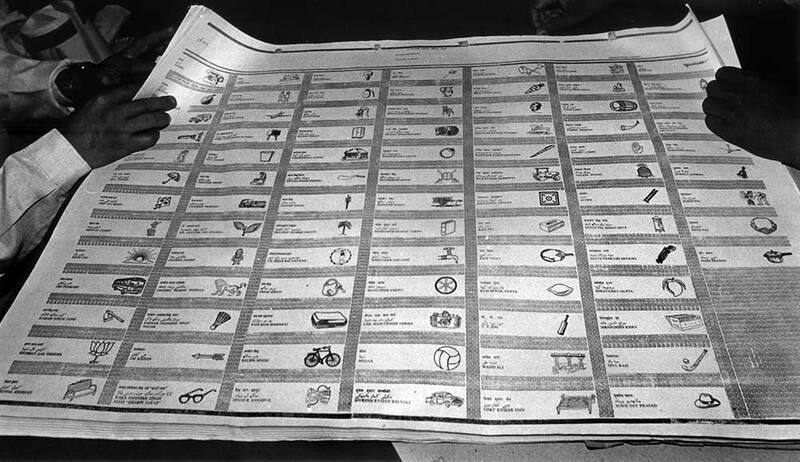 The ballot paper for the Outer Delhi Lok Sabha constituency, where 87 candidates were in the contest. These were pre-EVM elections!  Janata Dal leaders discuss issues related to the Lok Sabha elections. 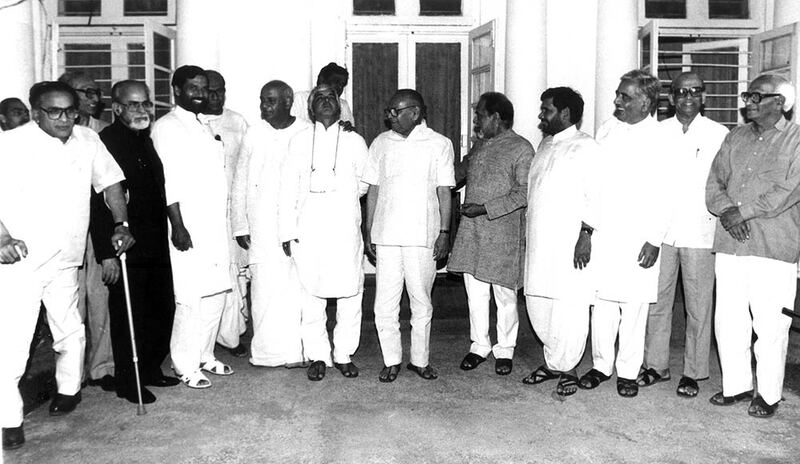 From left, S Jaipal Reddy, I K Gujral, Ram Vilas Paswan, Biju Patnaik (partly seen), H D Deve Gowda, Laloo Prasad Yadav, S R Bommai, Ramakrishna Hegde, Sharad Yadav, Mufti Mohammed Sayeed, Era Sezhiyan and Madhu Dandavate. 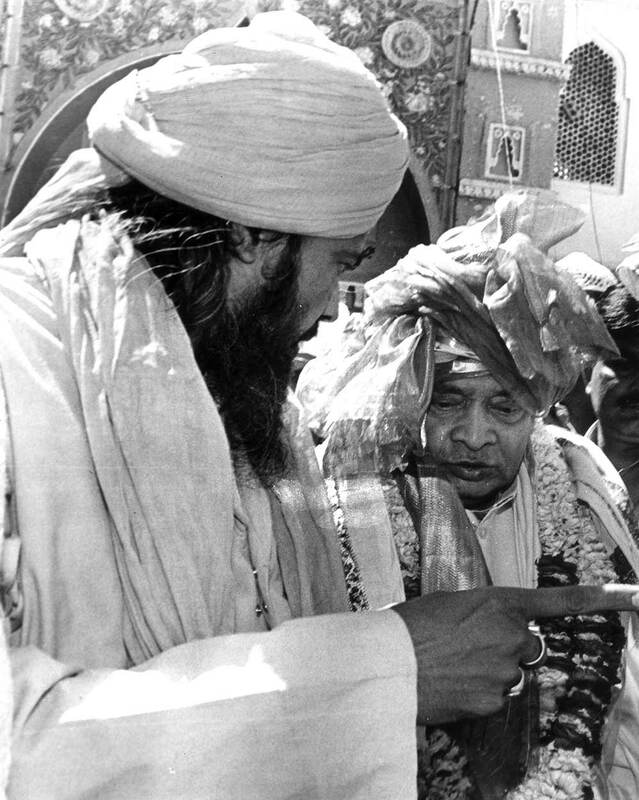 Then prime minister P V Narasimha Rao with the imam of the Khwaja Moinnudin Chisti dargah in Ajmer. 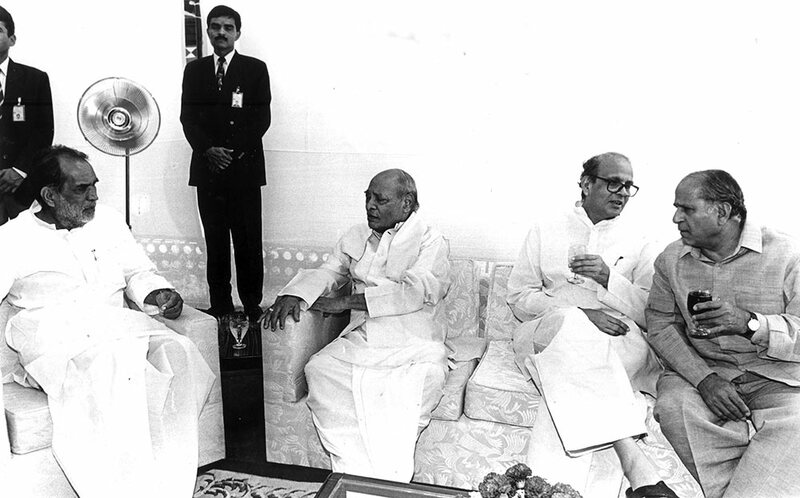 Former prime minister Chandrashekhar, then prime minister P V Narasimha Rao, former prime minister V P Singh and Bhuvanesh Chaturvedi, then minister of state in the prime minister's office, at the raising day function of the Special Protection Group in New Delhi, April 8, 1996. 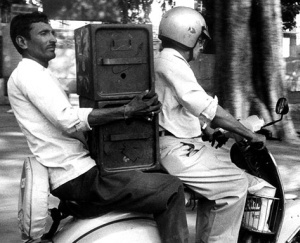 The SPG provides security cover to the prime minister, former prime ministers and the late prime minister Rajiv Gandhi's family. 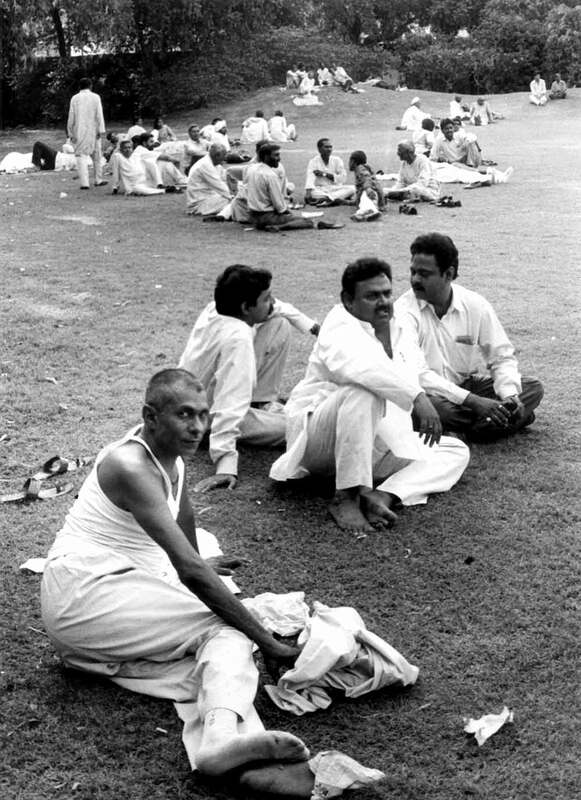 Prospective Congress candidates await their turn at the party headquarters in New Delhi. Prospective BJP candidates await their turn at the party headquarters in New Delhi. 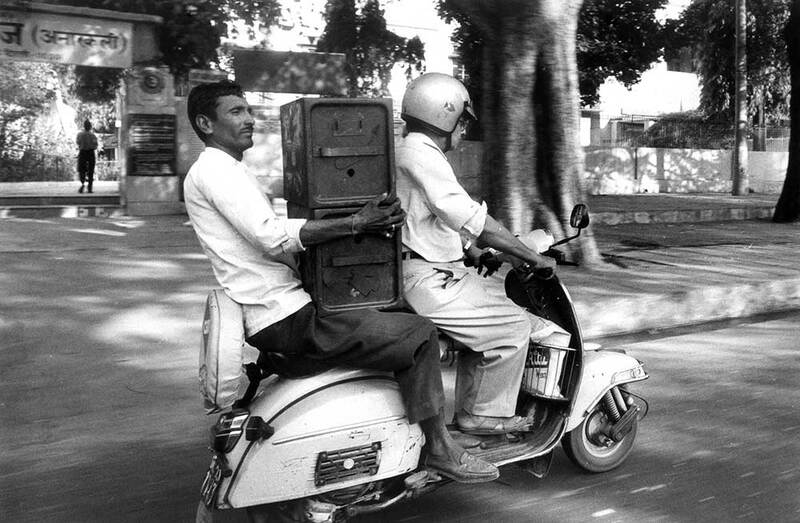 A ballot box is taken on a scooter to a polling station. 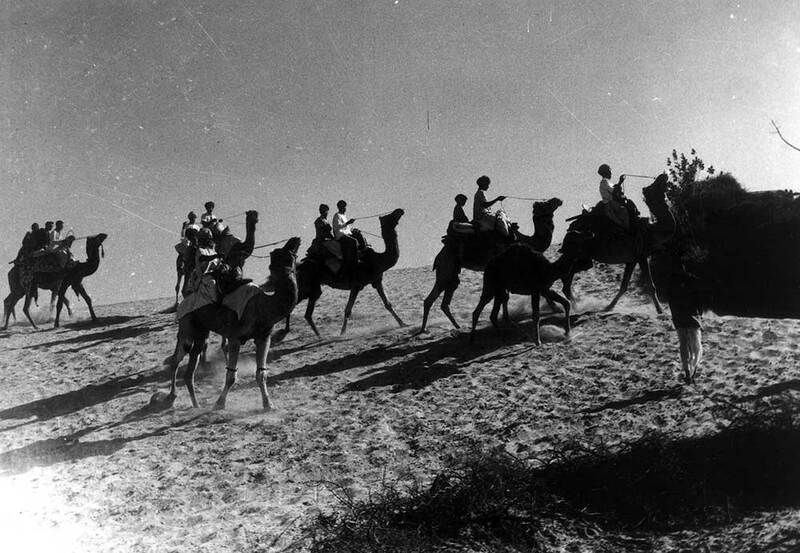 Voters from Khasoli in Rajastan return on camels after casting their votes. 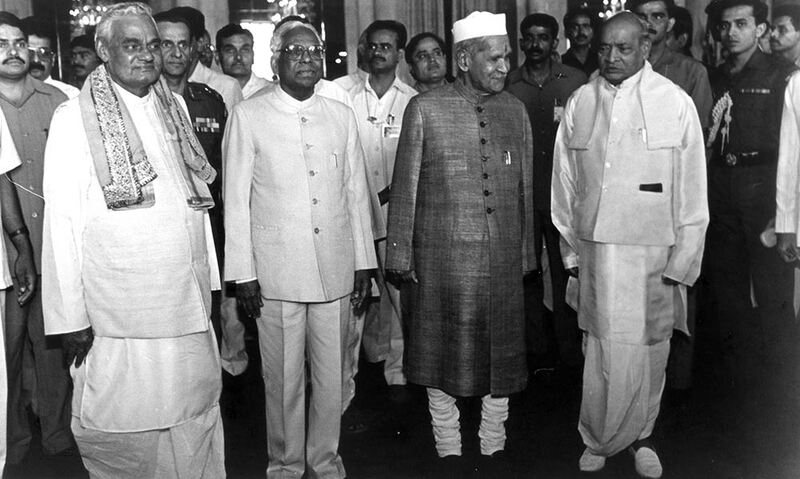 Atal Bihari Vajpayee, after being sworn in as India's new prime minister, then vice-president K R Narayanan, then President Dr Shankar Dayal Sharma, outgoing prime minister P V Narasimha Rao.